I found out about 10 minutes before we left for the in-laws' house that the kids were planning to take Grandma and Grandpa some decorated eggs and wanted something cute to put them in. Gee thanks for the last minute notice! 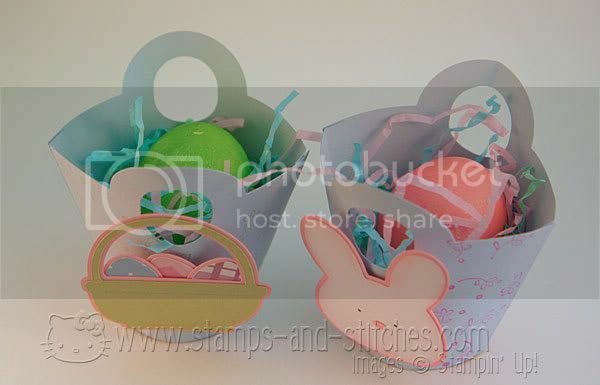 So anyway I used my baskets and blooms die and my cricut to make these-I had trouble making the baskets round even though I did it like this blog post said to. Grandma and Grandpa liked them anyway. these are DARLING! I love the bunny face and the colors are so soft and pretty! Round or not, these are adorable! Love that you took the grass from the baskets! LOL I steal candy!! They turned out so cute! Looks like you spent hours not 10 minutes on them. Love how you decorated them! The baskets turned out so cute, gotta love that Big Shot. Beautifully done! Adorable Gale!! These just couldn't be any cuter :) Nice work, they must have loved them! so so cute, love ur blog! Hey, for 10 minutes, they're great! Perfect delivery package for those decorated eggs! WOW these are super cute!! What a great use of the cart and the sizzix die!! 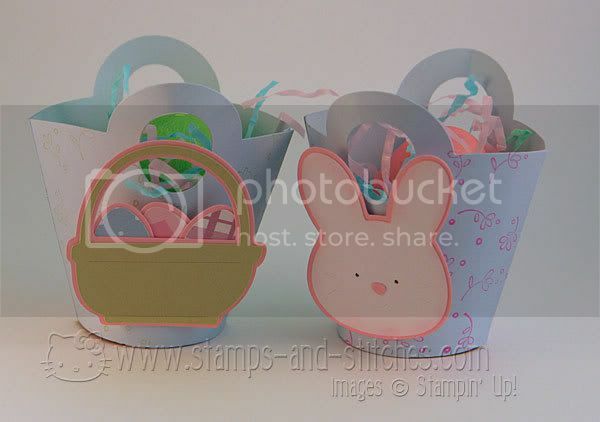 These are so super sweet and cute, I love the little pink bunny and the design is fabulous.